Congratulations, and the photograph shows it off beautifully too! It's wonderful! Love the way it's styled in the photo - I'd love a cosy bit like that in my house! How exciting! I am not at all surprised your lovely little quilt made it into a magazine! Congratulations to you, Catherine. well done! A great achievement to have a published quilt, and one so nice. Wow! Congratulations and very well deserved too! Congratulations! I loved this piece so it's no surprise they wanted to publish it. 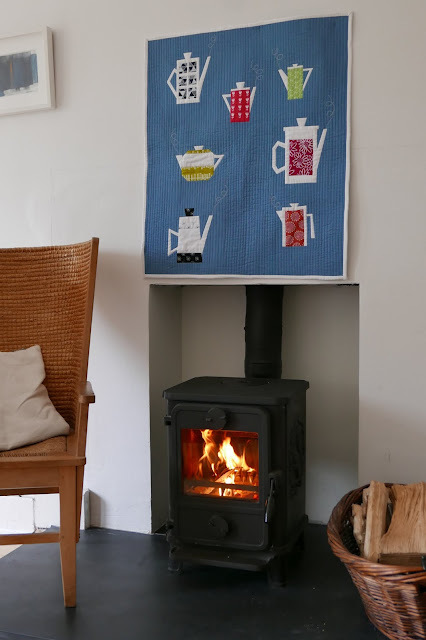 Congratulations on the publication your quilt deserves that wider audience Catherine!